PLEASE READ! Before I start, as always, I like to explain that my picture swatches may differ to how they look on you for mainly ONE reason that I feel I need to clarify: my LIP tone. 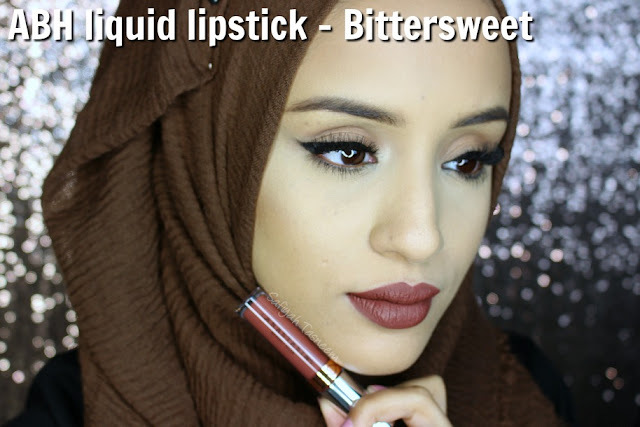 I've described my lip tone over on my FAQ page here, so please do have a read, but basically I have darker brown, two-tone lips, so if you have non pigmented lips, chances are these lipsticks will look more darker on you. Swatches There are only 3 shades in this liquid lipstick set and I must admit I thought the lightest shade Hudson would be too light for me at first glance on the Cult Beauty site, but they dry down darker (see arm swatches below), so on my dark lips they translate just fine, not too pastel or too dark. 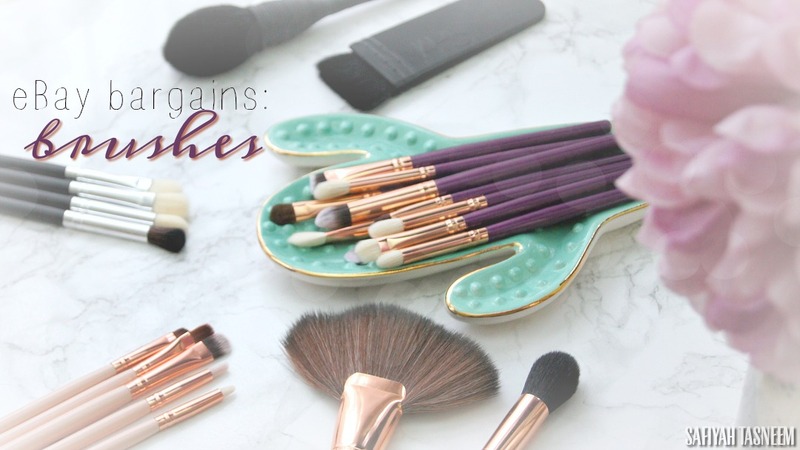 apologies for the tone change for these face swatches, still trying to get used to my new cam! 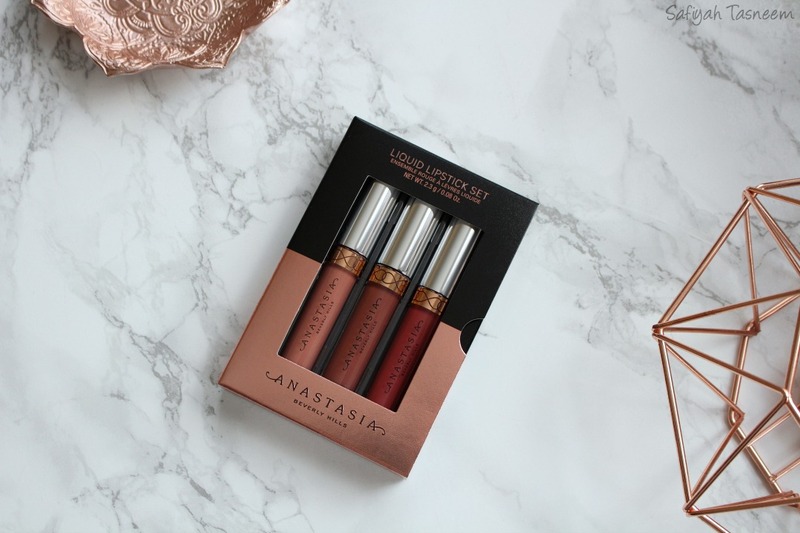 Colour & Pigmentation As with most liquid lipsticks, the pigmentation is high and all 3 of the shades in the set are consistently pigmented, no patchiness in any of them. 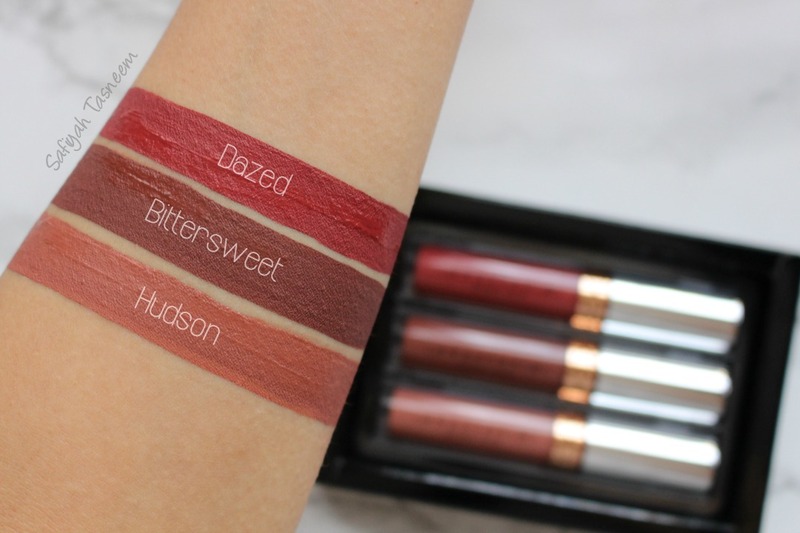 Dazed is the only shade in this set that's in the permanent full size range, Hudson and Bittersweet are a set exclusive (marked with * below). 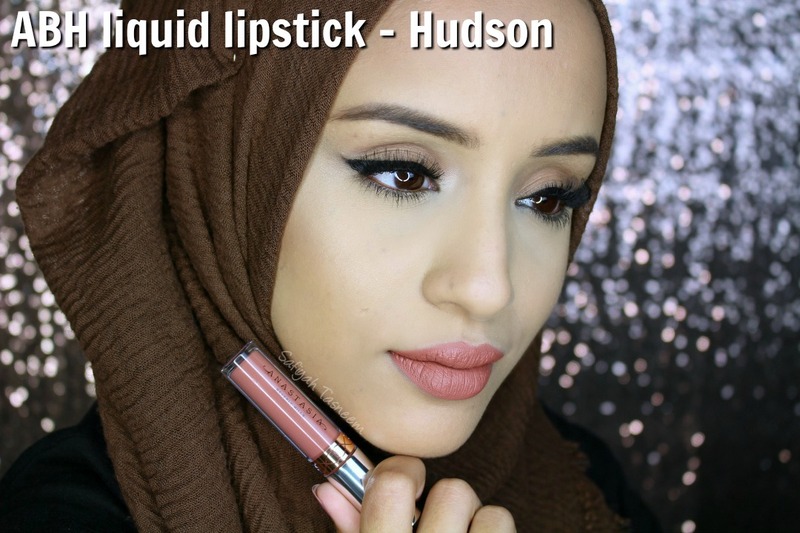 Hudson: this is the shade I thought would be too light for my skin tone judging by the online tube colour and the "peach" description, however it does dry a darker dusky rose peachy colour and I paired it with MAC's Spice lip liner which was fairly close. 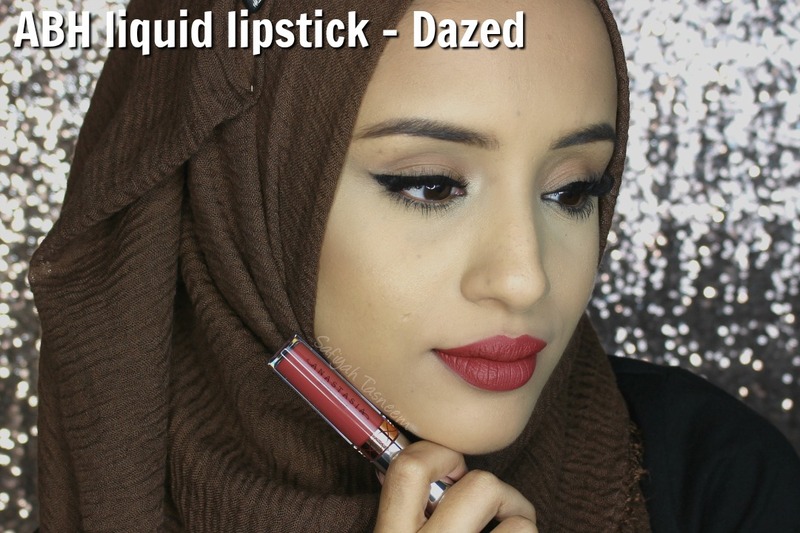 It reminds me most of Too Faced melted matte lipstick "Sell Out", so if you really like this shade and use it all up, check out this TF shade. Bittersweet: Browns are not my usual favoured shade (although most of my friends around my skintone or darker love browns), however this shade at first swatch I thought oh no this is gonna be way too dark for me once it set to its darkest. It goes on chocolatey brown but sets to like a almost purple tinged brown which I actually quite like! Dazed: This goes on almost strawberry red but sets to a brick red/browny red shade which makes it less statement-y but enough to give it the red wow factor. Texture/Consistency These are more on the moussey side of liquid lipsticks which is my general preference for my lip texture, however it does feel very powdery dry once set. This may be really uncomfortable for some but I've gotten used to drier consistency liquid lipsticks lately due to the longevity of them and also always wear lip balm! 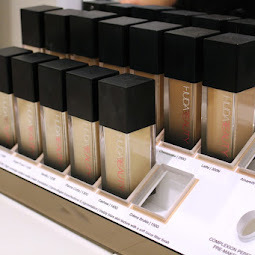 Finish: All three dry to a powdery matte finish and all set to a darker colour. There is no tackiness when pressing the lips together, actually the complete opposite, so no worries about transfer! Scent No nice sweet smell like the Too Faced melted mattes or other liquid lipsticks, more of a paint smell like the NYX Lip Lingeries. Longevity These don't budge. 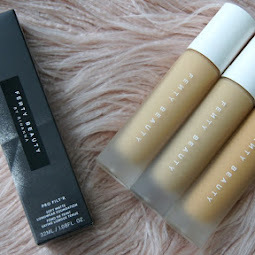 They're on par with NYX Lip Lingeries in lasting power, if not better.. maybe even rivalling the most long lasting liquid lipsticks I own - Beauty Bakerie Lip Whips! I ate a burger one day with Dazed on and the inner part of my mouth crumbled a bit but topped it up and was good to go.. also no transfer from my bottom lip to my chin which happens way too often when I wear liquid lipsticks usually, especially reds! I also ate lasagne with Bittersweet on and barely anything came off from the inside of my lips, also kissed my son 5 times for good measure and not a trace was on him, so they definitely are transfer proof and long lasting; you will need oily makeup remover to take these off for sure. Price £26 for three 2.3g minis (6.9g) actually works out better value for money than buying a full size liquid lipstick at £20 for 3.2g, plus I like the fact that I have variety in this set and all are actually wearable for my dark lips 🙌🏽 Available at Cult Beauty, Beauty Bay or Anastasia Beverly Hills UK. This is such a useful post. 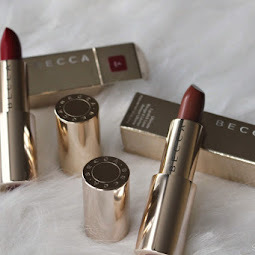 Thank you for the review and great swatches! This set is great value for money and would make a perfect Christmas gift for any beauty junkie. I really love the colours but I'm fighting with myself because I do not need it I just want it. Plus I've got loads of liquid lipsticks that I do not use. I may add it to a birthday wishlist. 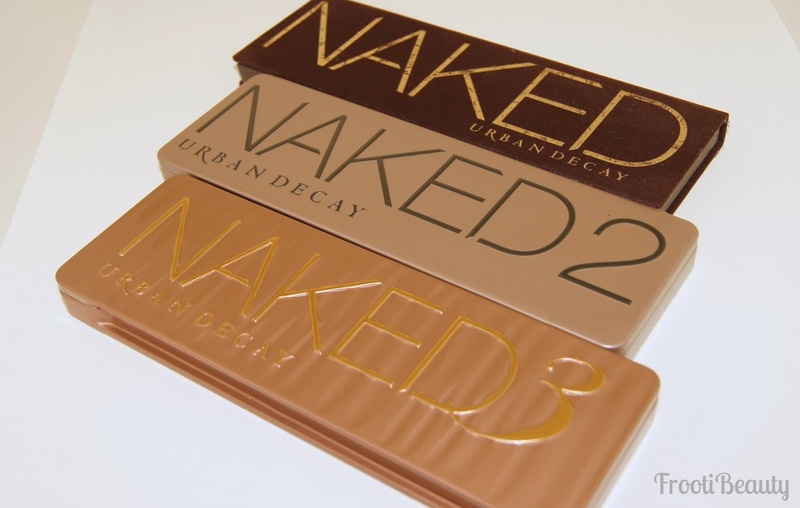 Awww totally worth putting on a wishlist, especially if you're into darker browns! Aw yay, I hope you like them too!